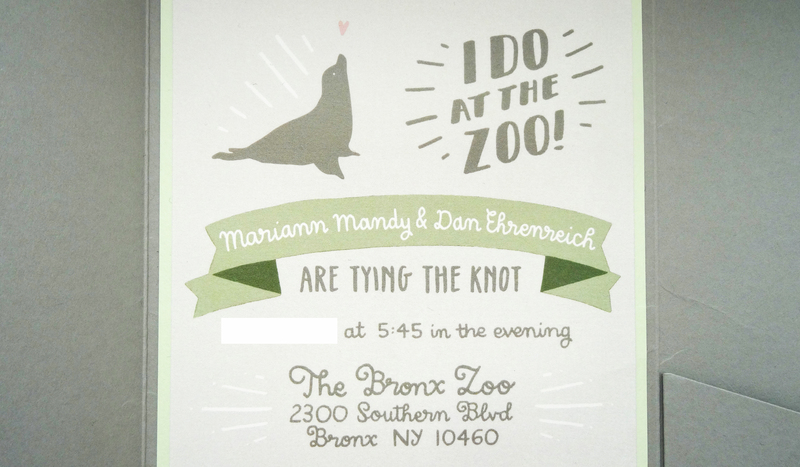 A friend’s sister is getting married at the Bronx Zoo and asked me to design their full wedding stationery. 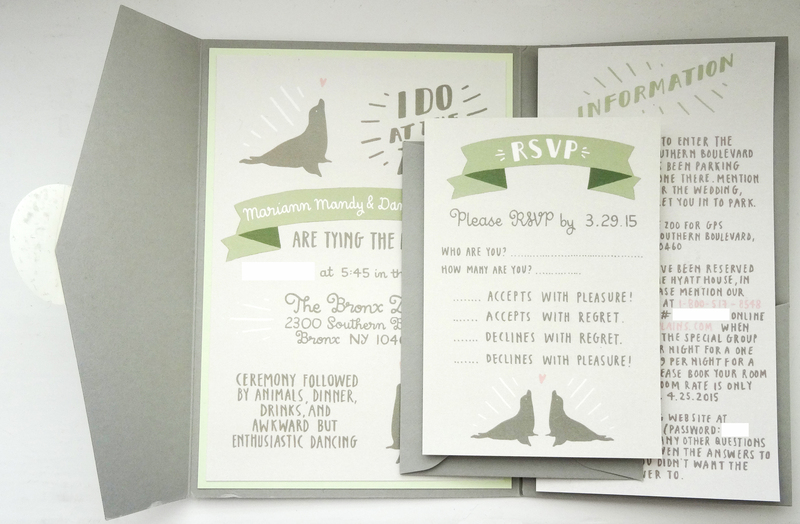 Here it is, in muted greys and greens, with some different hand lettering styles (and some seals). 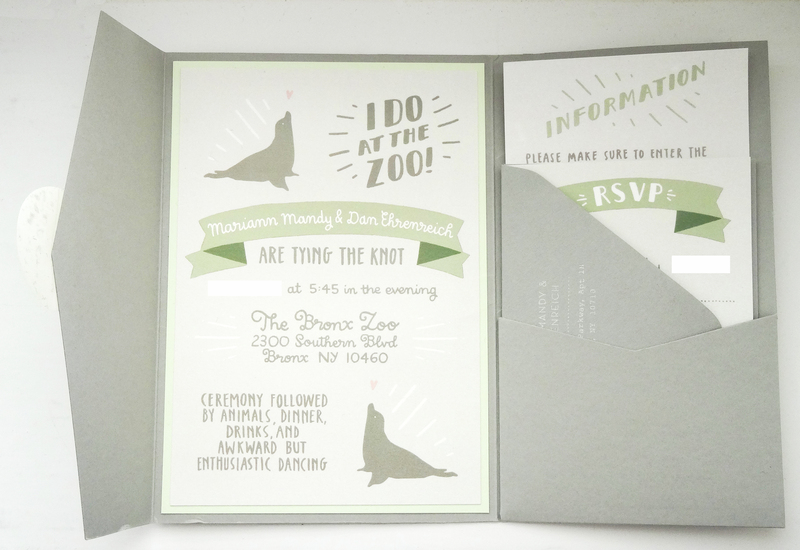 Particularly like the accepts with regret/declines with pleasure RSVP responses.